Claire Bischoff is a senior associate at Hamilton Place Strategies where she supports a range of clients using strategic and analytical approaches to public affairs. Prior to her work at HPS, Claire interned on Capitol Hill for Senator Tim Kaine (D-VA) where she conducted research on transportation, healthcare, and economic policy issues important to Virginians. Claire also served as a government affairs intern for The Sheridan Group (TSG), a political strategy firm in Washington, D.C. At TSG, Claire’s work focused on issues related to non-profits and the federal appropriations process. 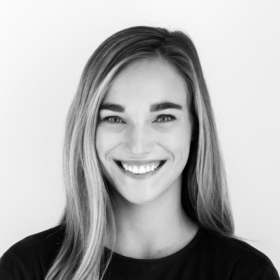 Originally from Virginia Beach, VA, Claire graduated with high distinction from the Batten School of Leadership and Public Policy at the University of Virginia in 2016. She earned a B.A. in Public Policy and Global Public Health.